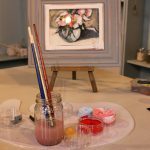 This week on Show Me How we explore painting on canvas. 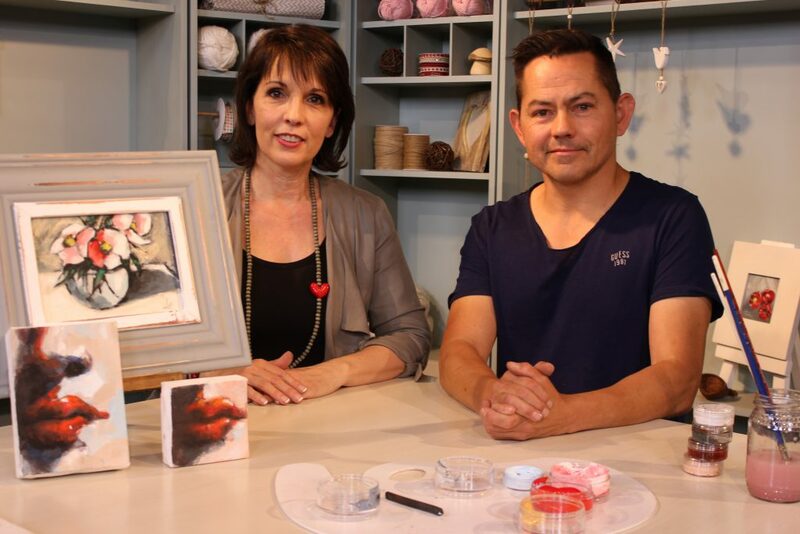 Ajay Jacobs from Ajays Art Foundation teaches us how to use different mediums like acrylic paints, pastels and charcoal to create a single masterpiece. 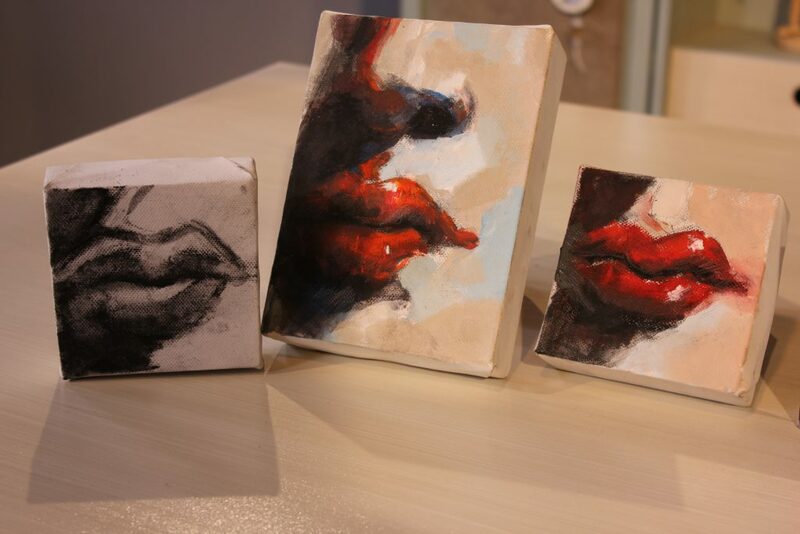 Step 1:Draw a mouth from any picture onto a small 10 x 10 cm or larger square canvas in charcoal. Step 2:Fill all the values (darks and mid-tones) by shading them with your charcoal as shown. Leave the lighter tones white. Step 3: Wash the charcoal with a brush dipped in water. Clean your brush thoroughly with water between values. Use a number 4 flat or filbert brush. 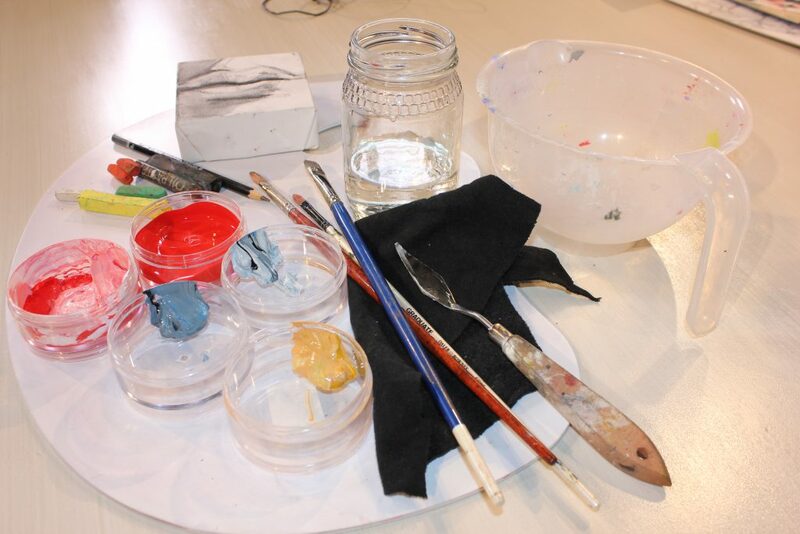 Step 4: Prepare your palette – for your skin tones use ordinary white as your base, add a little orange and mix. Add the smallest touch of blue to your mix. Split these in two and add more white and blue to one of these skin tones to create a cooler lighter mix. Step 5:Paint areas as indicated – leave some darker areas exposed. 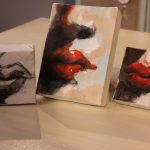 Add red to the lips in the same fashion, blending it into the dark areas to the left using a little dry brushing or scumbling. Step 6:Add a little playful black oil pastel to the darkest areas. Step 7:Add a little magic with soft pastels – orange in and around the top lip to soften and brighten and a little to the bottom lip as shown – don’t overwork it! Add a few white highlights with white soft pastel. 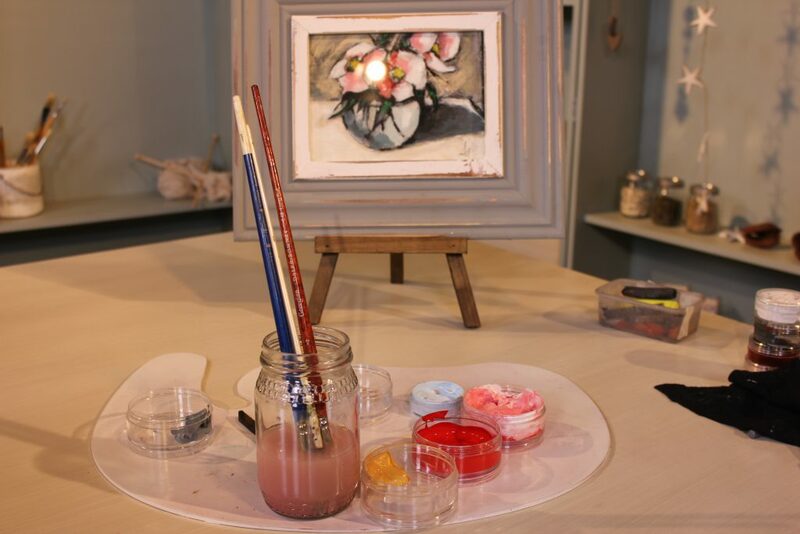 Step 1: Draw a flower arrangement onto canvas board in charcoal. Step 2: Fill all the values (darks and mid-tones) by shading them with your charcoal as shown. Leave the lighter tones white. Step 3: Using a number 2 or 4 flat filbert brush, wash the charcoal with water. 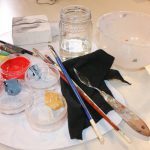 Clean your brush thoroughly with water between values. Step 4: Prepare your palette – dark and light pink, blue grey (black, blue and white), split and lighten one with white for a very light grey, and green for highlighted leaves. Mix a background colour of your choice. Step 5: Paint areas as indicated – leave some darker areas exposed. Add a little playful black oil pastel to the darkest areas.